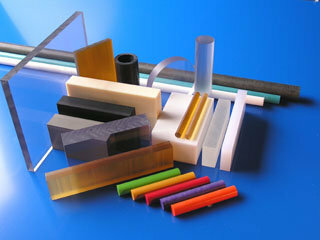 With a wide range of material available, Plastic Design & Manufacturing, Inc. distributes plastic sheet, plastic rod, and plastic tubing products in various shapes and configurations. Polymers and plastics that we work with include Acrylics, polycarbonate, PETG, acetals, nylons, PET, PVC,PVC foam, LDPE,HDPE, polyproplyene, UHMW, and many others. Depending on material and end use, our plastic products are produced either through a casting or extrusion process.Send us your files and we will work with your speifications. We offer plastic tubing,and in solid plastic rod, we offer round, square, hexagon, or triangular standard shapes, with custom shapes in large production runs are available. Plastic sheet is available in frosted or matte finish, and custom colors, including clear plastic, are available for all of our plastic products. We can provide plastic rod and tubing in 1/8" to 24" diameter and lengths from 1/2" to 10'. We also fabricate plastic sheet in thickness from 0.030 thousands to 2', with widths from 1/4" to 10' and lengths up to 14'. Just a few of the typical applications and products that we offer include mechanical products, insulators, wear products, welding rod, acrylic mirror sheet, vinyl strip doors, and tapes in various materials. Please contact us with the full details of your project for more information.